Archaeologists have described the Chaco Phenomenon as anything from an egalitarian society without any rulers at all, to a full-fledged state-level society or kingdom. 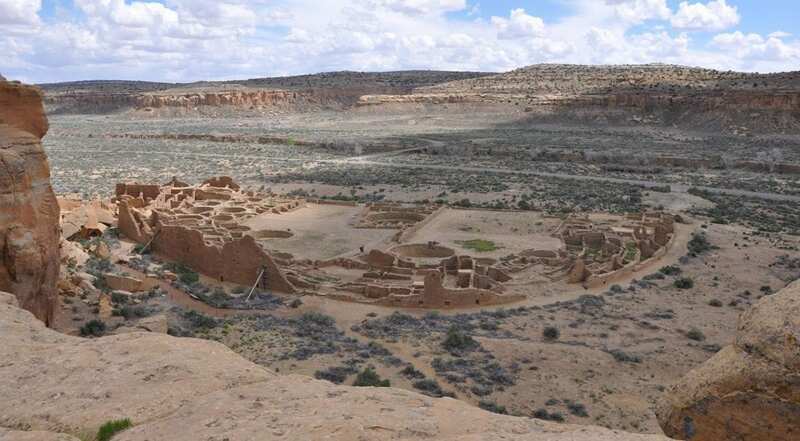 The researchers now think that Chaco Canyon was much more than a leaderless conglomeration of people, but a hierarchically organized society with leadership inherited through the maternal line. Typically, the only things found in prehistoric archaeological ruins to indicate elevated status are grave goods — the artifacts found with burials. Throughout the Southwest it is unusual to find formal burials within structures, because most people were buried with limited grave goods outside housing compounds, but in excavations sponsored by the American Museum of Natural History and carried out in the 1890s at Chaco Canyon, archaeologists found room 33 in Pueblo Bonito — a burial crypt within a 650-room pueblo dating between 800 and 1130 — that contained 14 burials. The researchers note in today’s (Feb. 21) issue of Nature Communications, that this 6.5 by 6.5 foot room “was purposely constructed as a crypt for a high-status member of this nascent community and ultimately his lineal descendants.” The initial burial was of a male in his 40s who died from a lethal blow to the head. 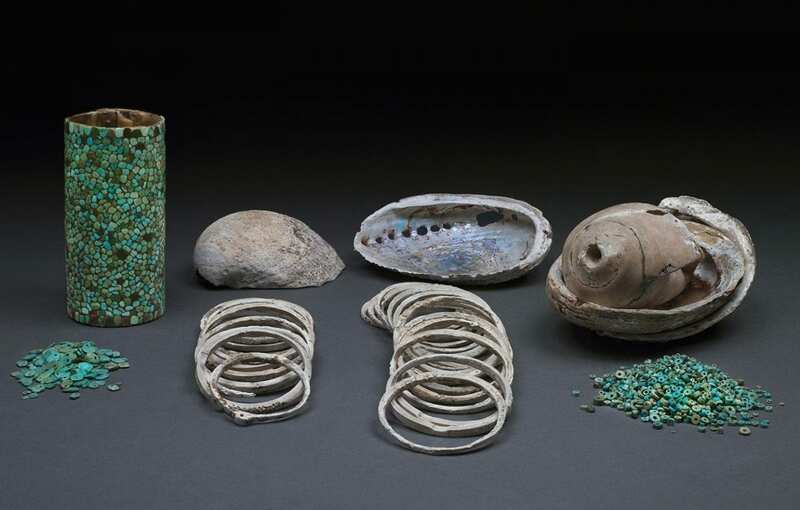 He was buried with more than 11,000 turquoise beads, 3,300 shell beads and other artifacts including abalone shells and a conch shell trumpet originating from the Pacific Ocean and Gulf of California far from central New Mexico. This burial is the richest ever found in the American Southwest. Another individual was buried above this initial interment and a split plank floor placed above them. In the space above, another 12 burials took place over the span of 300 years. When the results came back, the researchers found that all the individuals shared the same mitochondrial genome sequence. Mitochondrial DNA (mtDNA) is inherited only from an individual’s mother, so matching mtDNA indicates that not only where all the individuals from the same family, but the inheritance was matrilineal — through the mother. Working with Reich, professor of genetics, the researchers then wondered if they could determine specific relationships among these individuals. “Using DNA sequences from the nuclear genome combined with the radiocarbon dates, we identified a mother-daughter pair and a grandmother-grandson relationship,” said Kennett.